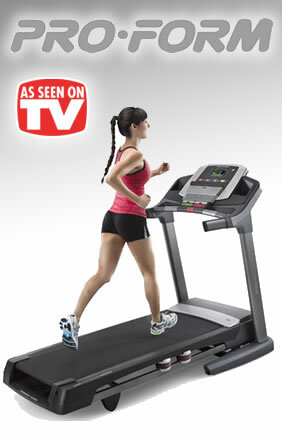 ProForm treadmills are well known in the fitness world for offering extensive features, advanced technology and solid construction. They’re an excellent choice if you’re really serious about attaining your fitness goals and staying fit. 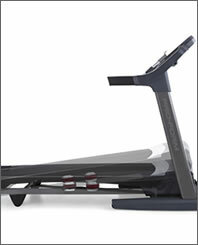 ProForm is a recognized leader in the fitness industry and their treadmills and other high-tech fitness solutions are widely regarded as some of the best products on the market today. 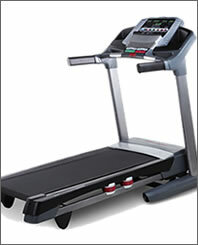 ProForm Power 995 treadmill features a powerful and innovative design that will get you into shape in no time. The Power 995 delivers revolutionary technology and cutting-edge features for superior fitness results. 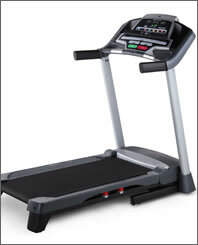 This innovative treadmill features workouts Powered by Google Maps, training with Jillian Michaels, iFit Live compatibility and automatic speed and incline controls. This wireless technology delivers smarter workouts and faster results and the Power 995 is also compatible with Nike + iPod. Simply connect your iPod, work out and then sync your results online at Nikeplus.com. Other top features include a powerful 2.75 CHP Mach Z Commercial Plus Motor, comfortable ProShox Elite 2 Cushioning and an extra-long 20″ x 60″ treadbelt. 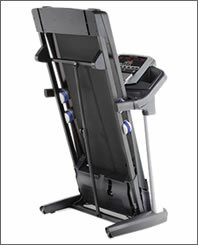 ProForm treadmills offer numerous innovative features and benefits such as ProForm's revolutionary folding SpaceSaver design, heavy-duty commercial grade motors, advanced ProShox air-based shock cushioning systems, iFit Live compatibility, LCD touchscreen console monitors, computerized workout programs designed by certified personal trainers, iPod interface functionality with built-in sound systems, and built-in heart rate monitors.